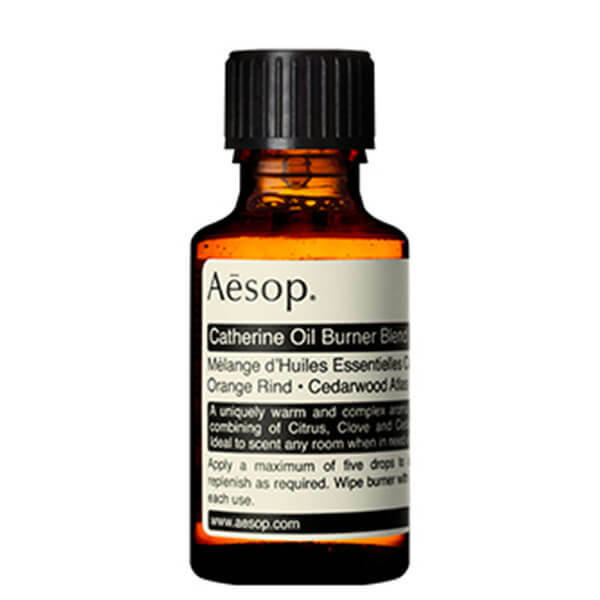 Infuse an uplifting, warming fragrance into your home with the Catherine Oil Burner Blend from Aesop. Expertly created from Orange Rind, Cedarwood Atlas and Clove Flower, simply add to an oil burner to release a soothing, revitalising scent into any room. 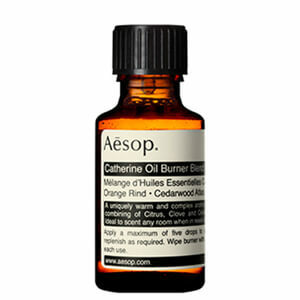 Less is more with Aesop Burner Blends. Apply a maximum of five drops to an oil burner and replenish frequently. Wipe burner with a damp cloth after each use. Citrus Aurantium Dulcis (Orange) Oil, Cedrus Atlantica (Cedarwood) Bark Oil, Eugenia Caryophyllus (Clove) Flower Oil.